College Park Nutrition offers a variety of name brand sports nutrition products to assist everyone — at all fitness levels — to achieve their ideal physique. Whether you are a gym junkie, diet fanatic or just looking for that extra boost to get through your long days at work, we have the products that will work for you! What is the story behind the store? How/why did you start it? When I moved to College Park in 2009 I realized the area had a lot of fitness activities and was a magnet area for outdoor workouts, but had nowhere to purchase health supplements items to assist people in getting fit. So, I opened the store so the community would have a local place to shop for fitness supplements and receive expert advice on how to get fit and stay healthy. What is your best advice for getting/staying healthy? My best advice for getting fit and staying healthy is a combination of working out, a healthy diet and consistent supplement regiment. What makes College Park Nutrition such a great place to shop? CPN is a great place to shop because we offer a myriad of products for every fitness level. We also offer expert advice on all of the products we carry. Whether you are looking to lose weight, gain weight, are training for a marathon or are new to working out, we will help customize a plan to help you achieve your goals. What product in your store is the best/most asked for/most popular? The most popular products we carry are pre-workout supplements and our protein powders. If I had to choose one, I would say the Dymatize Iso-100 Protein is the top selling product. What is your favorite way to use coconut oil? I use coconut oil in a lot of things including stir-fry and everyday cooking as a replacement for olive oil, but my favorite way to use coconut oil is in my protein shakes. 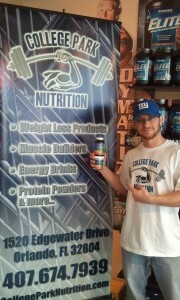 Thanks to Mike and College Park Nutrition! 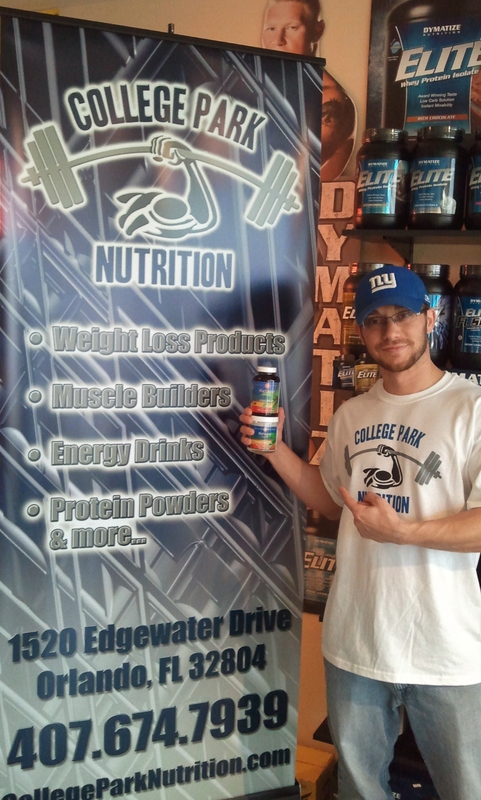 Like College Park Nutrition on Facebook and receive a discount! Follow College Park Nutrition on Twitter!